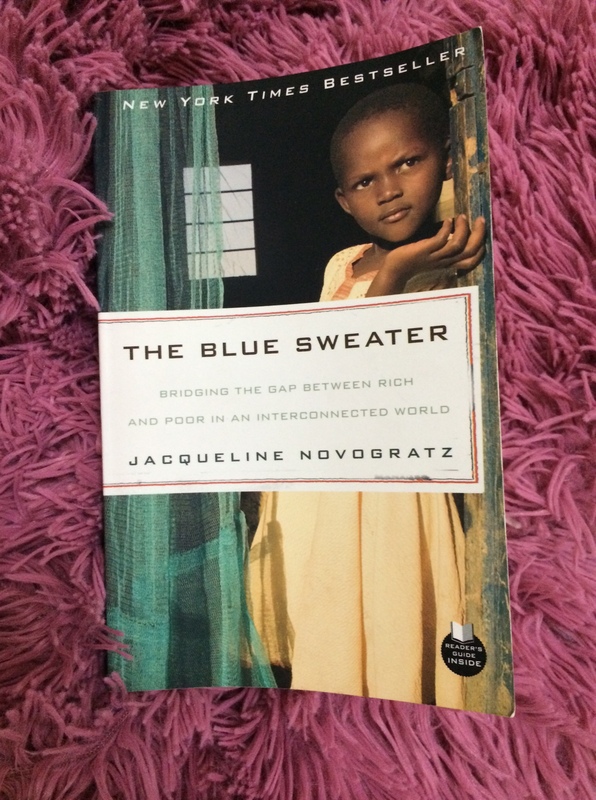 This is a memoir of a big dreamer woman, Jacqueline Novogratz, who twenty years ago left her high-profile First world banking job in order to travel to the Third World to help improving the conditions of people there. The book is named after her own sweater! When she was a young girl she donates her favorite “blue sweater” to a charity. Years later when she was in her early twenties and went first to Africa she met a little boy wearing her own sweater! She says at that moment my belief in charity enhanced. Since her graduation from college until her foundation of the Acumen Fund, Novogratz visited many countries, including Rwanda, Pakistan, India and Brazil. In her memoir, Novogratz narrates her journey from international banker to social entrepreneur. She tells of the importance of bridging the gap between the rich and the poor. Her memoir inspires people to help tackling poverty, not just by giving money, but by providing jobs and offering loans. Giving money is not the solution, but helping poor people to be independent, finding their way in the life is. This is what Novogratz spent her life doing: finding powerful and new ways of tackling poverty. Throughout her memoir, Novogratz provides stories about her work and how she grows to understand the peoples she works with them well and to avoid obstacles and find solutions. After many years working for charitable organizations, Novogratz crowns her efforts by co-founding The Acumen Fund, a non-profit global venture fund that uses entrepreneurial approaches to solve the problems of poverty. It is really inspiring how Novogratz was able to help and come up with new ideas to tackle poverty in the early of the 80s and 90s. Her love for humanity -without any ethnic or religious prejudice- is wonderful, too. The best part in her book is when she tells about her mistakes and how she learned from them; and how the sexism, racism, and nationalism she faced throughout her work, helped her to strive to work more. As for the memoir’s shortcomings, I noticed that Novogratz talks much about her experience without voicing the very people whose life changed by her work? Also she kinda jumps from one part to another leaving the reader wonders what happened to the people she was working with.